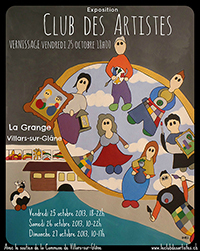 I am pleased to participate in a group exhibition that gathers more than 40 other artists from all over Switzerland! I didn't suspect ending up starting an artistic career overseas, but it seems like my steps lead me there. I was out to buy some art supply at a random location, in the lovely town of Fribourg, when the owner of the shop asked me to show him one of my paintings. I was shy, and ended up showing him my first watercolor painting. I must admit I wasn't very self confident back then, but I will most likely never forget his shocked expression (and mine). He took and phone and showed my painting to a few other people in the shop while I was trying to hide behind a wall. For months after, I prepared my signature work in watercolor, testing new techniques and different watercolor papers. That's when I discovered a passion for that accident-based medium... and people liked it? So here I am, exposing a few paintings for you all to see.